10 things to do in New York this winter! Stop for drinks on the 8th floor of The Marriott Hotel in Times Square. It’s not very expensive when you consider its location and the view you get of Times Square. 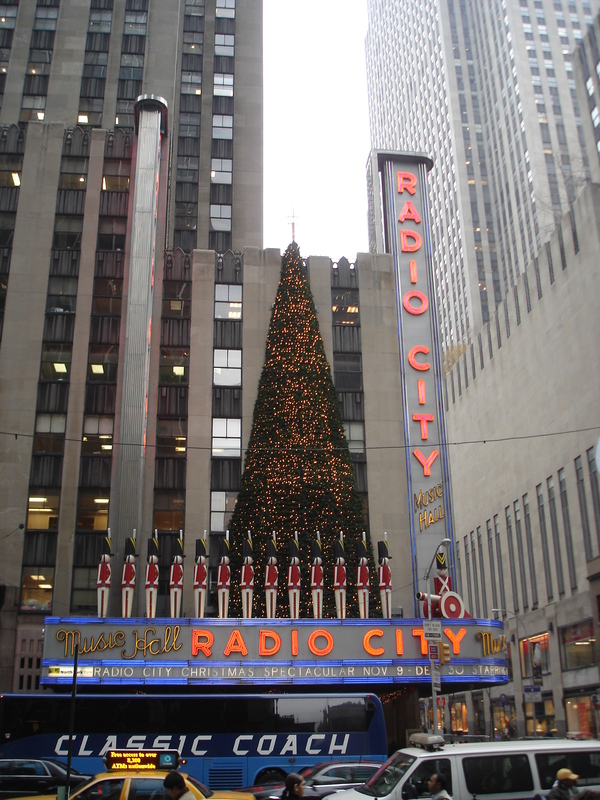 Catch the Christmas Spectacular at Radio City with the Rockettes from November. For all Scrooges out there, be warned! It’s very happy and Christmassy and full of American splendour. We got tickets on the door. They were in the very back row but even these were great and we got to sit next to two old New Yorkers who go every year. You have to see a show on Broadway when in New York but don’t forget to save yourself some pennies and head to TKTS earlier in the day (the same TKTS you find in Leicester Square). We got tickets 5 rows back for little over $50 each. The kiosk opens at 3pm for evening performances (2pm on Tuesdays). 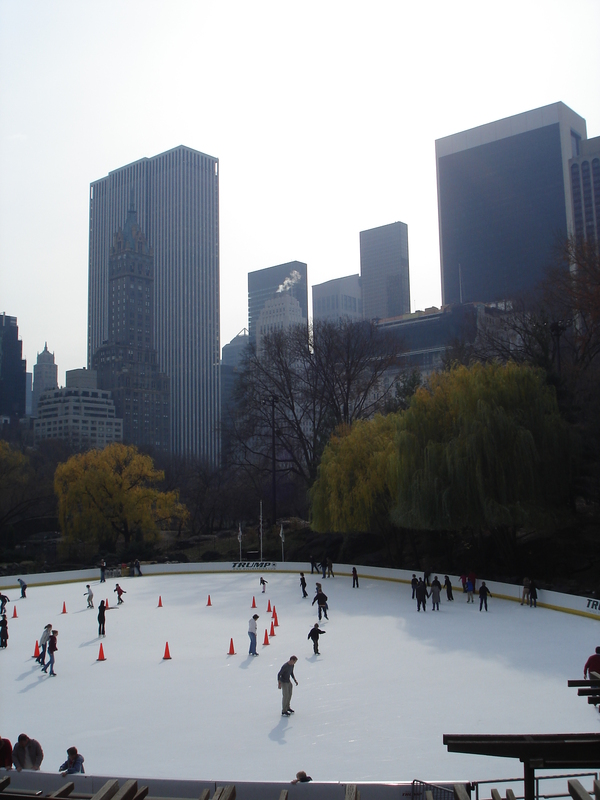 Get your skates on at the Wollman Rink which opens in late October. It’s the biggest rink in the city and set in Central Park. Head to Bryant Park for free admission (also open in late October). You still need to pay for skate hire and a lock for the lockers (!) and so if you have a lock with you (on your suitcase! ), you may as well take this as it just may save you $9. Travel light as lockers are small. We found Max Brenner (see the dessert menu!) by accident and what a wonderful accident that was. A must visit for all chocolate lovers out there. You can order incredible ice-cream, chocolate pizza, fondue and try the Hug Mug with Mexican spicy chocolate or Italian hot chocolate (this is best dark). Walk, walk, walk! There is so much to see in this city, don’t miss out by taking cabs and the subway all the time. Take in sights such as the Empire State Building, the New York Public Library, the Chrysler Building and Grand Central Station. Don’t forget the views back over the city from Brooklyn Bridge and of course Central Park. Take a helicopter flight at night and fly around the Statue of Liberty. Try Liberty Helicopters where you can buy a ‘Soar and Sail’ tour for $150 pp (it may be cheaper booking through your hotel or looking out for discounts which can be found on its website). 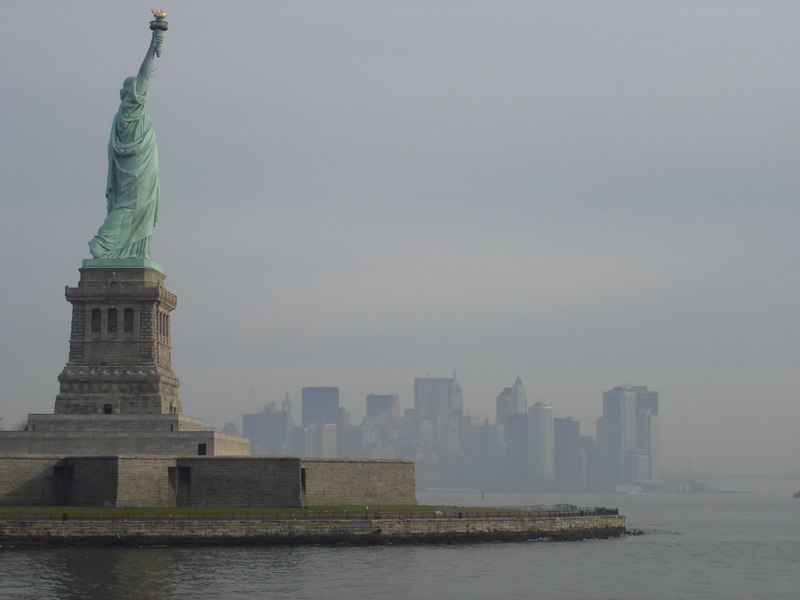 The Statue of Liberty tour takes a long time and so get up early and head for the first boat out at 9:30am from Battery Park taking in Ellis Island on the way back and don’t plan too many other activities for the day. Take your credit card for all the shopping there is to be done. Macys is the largest and most reasonable of all department stores and has a wonderful shop window display nearing Christmas and don’t forget your brown bag from Bloomies. If you are there for the Rockefeller light switch on (3 December), don’t miss it. It’s known for having a host of fantastic acts. We saw (or rather heard!) 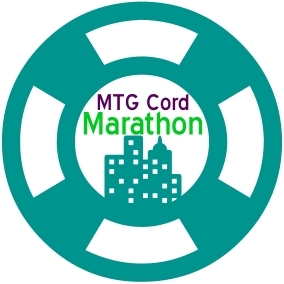 performances from John Legend, Sting and Enya to name a few. Our tip is to get there early to get a better spot but be very prepared to stand around for a while.